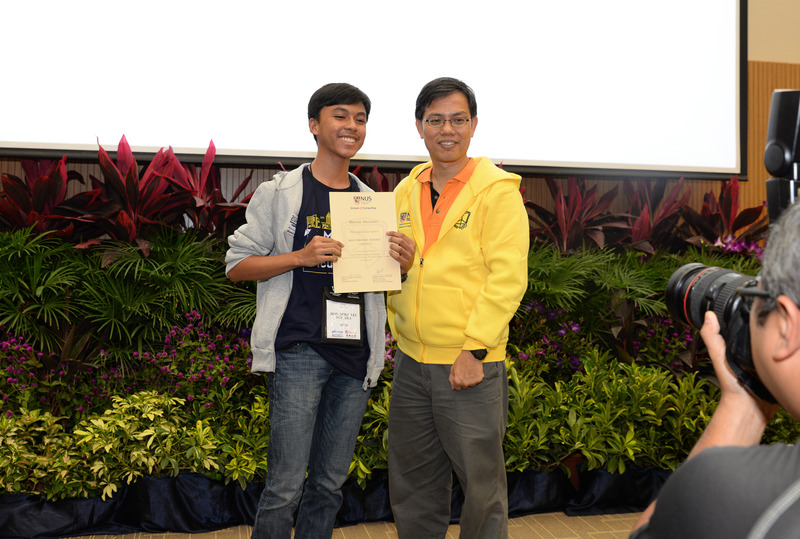 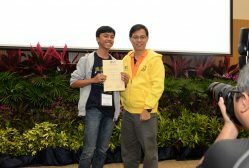 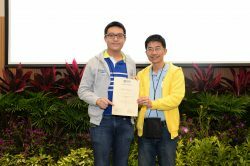 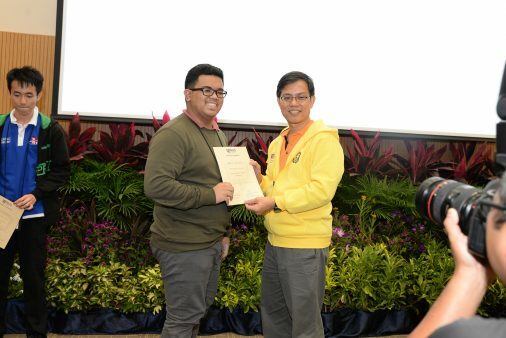 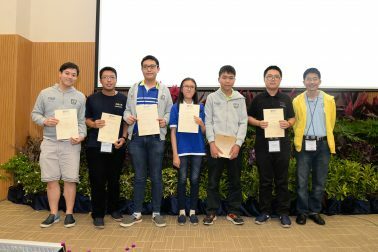 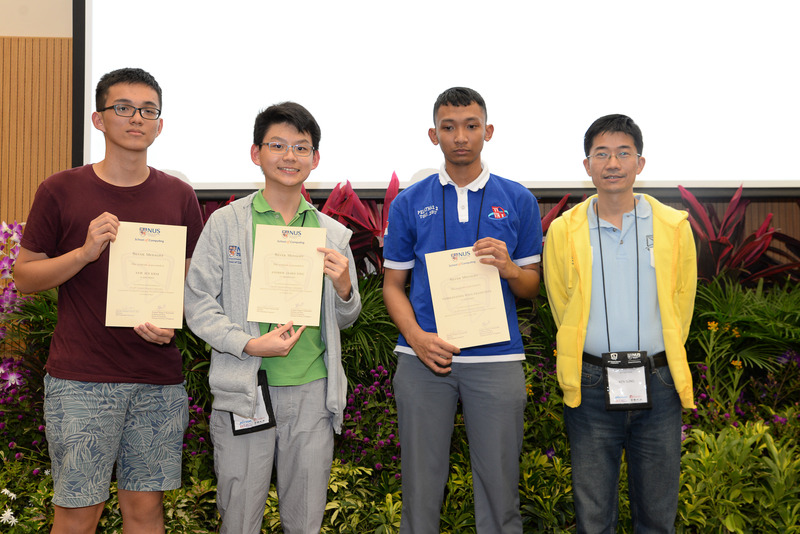 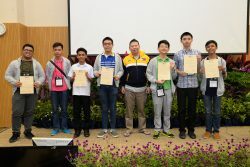 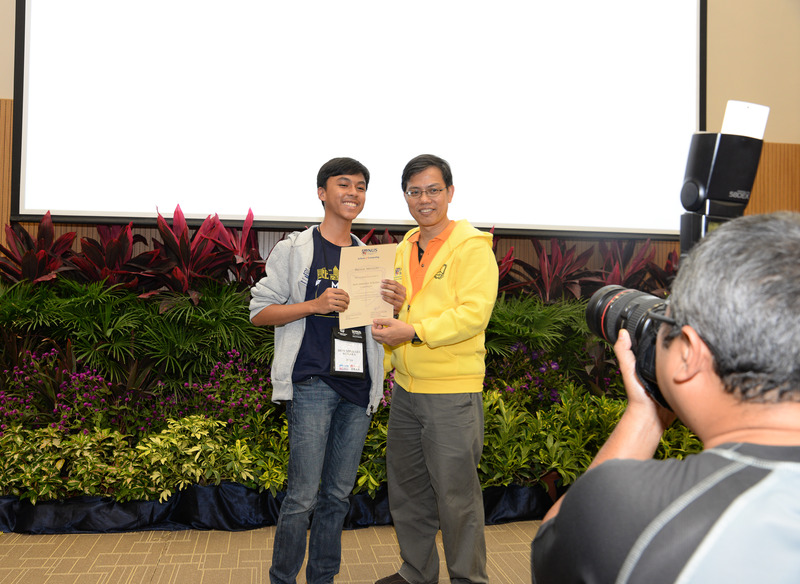 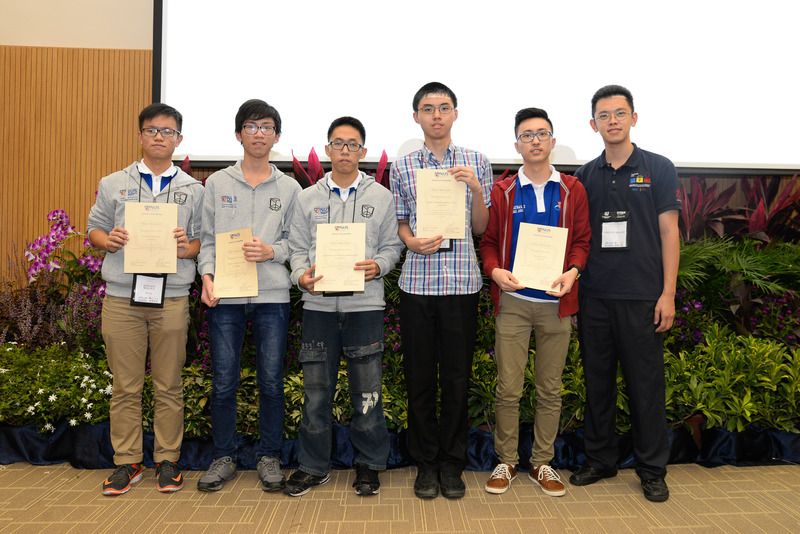 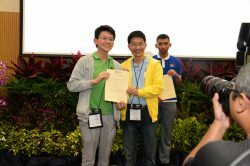 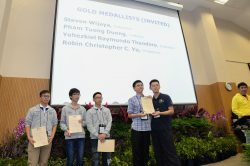 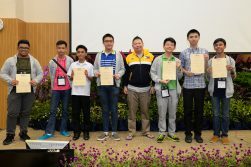 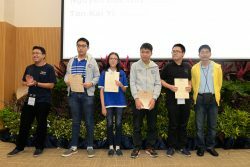 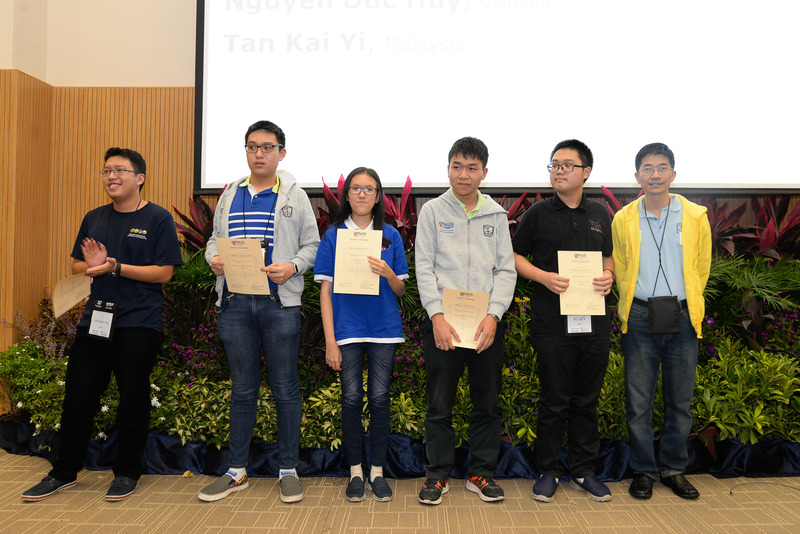 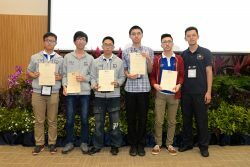 On March 18, 2017, the 6-member Philippine team to the 20th Singapore National Olympiad in Informatics hosted by the NUS School of Computing at the National University of Singapore all received medals. 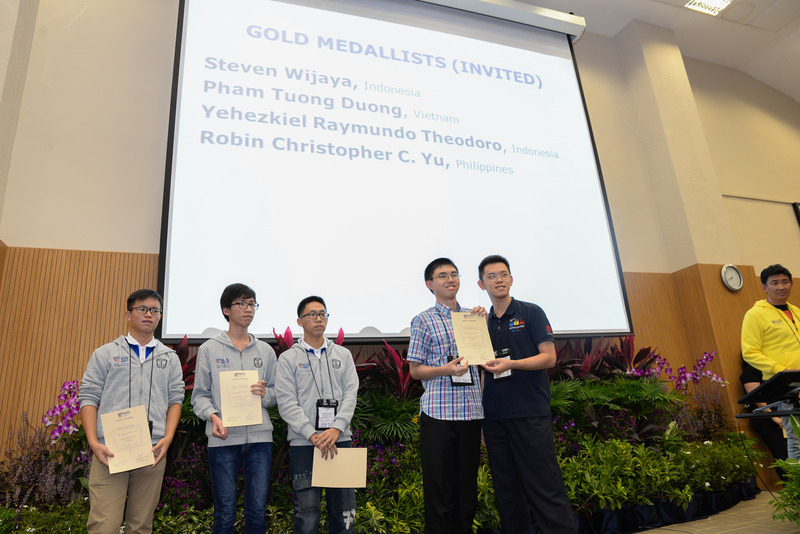 Robin Yu (Xavier School) led the ranks taking home a GOLD, and placing 5th overall and 3rd among foreign competitors. 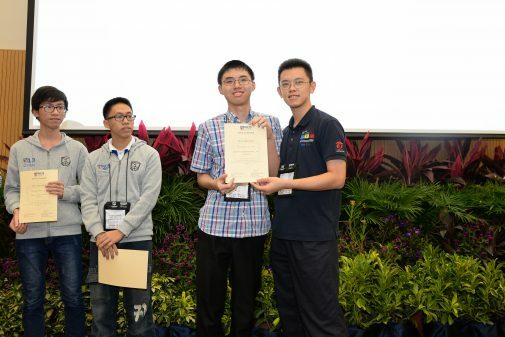 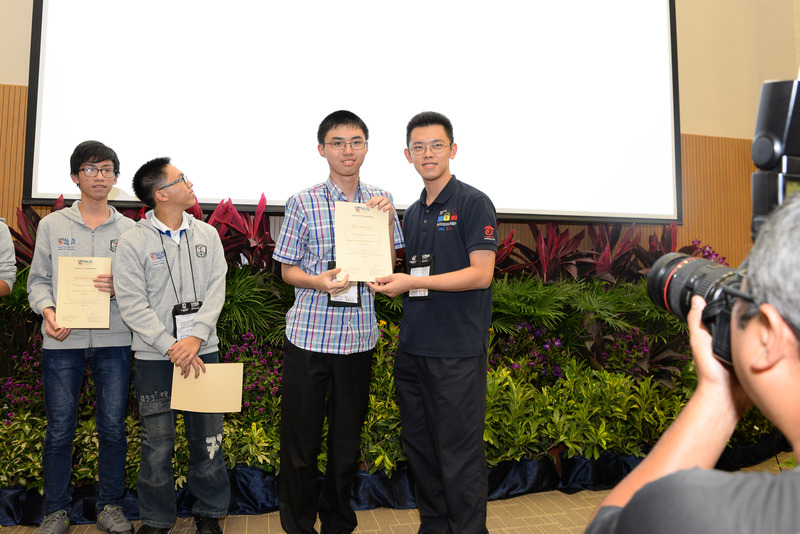 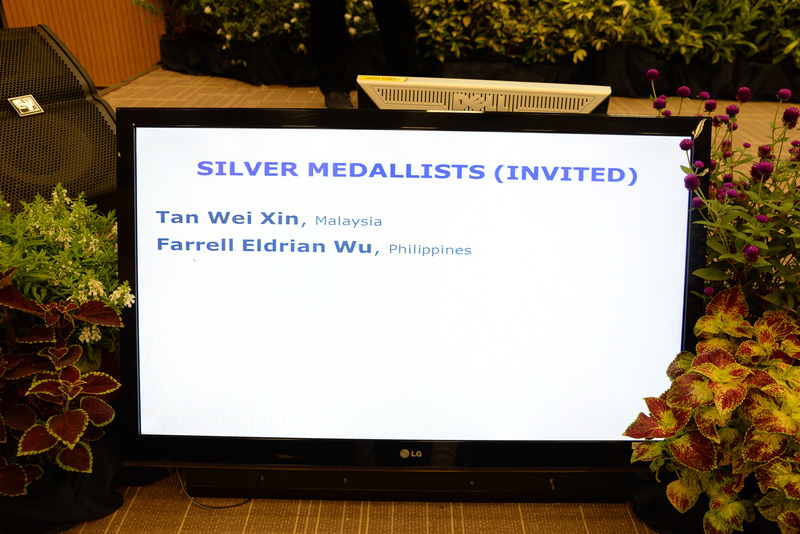 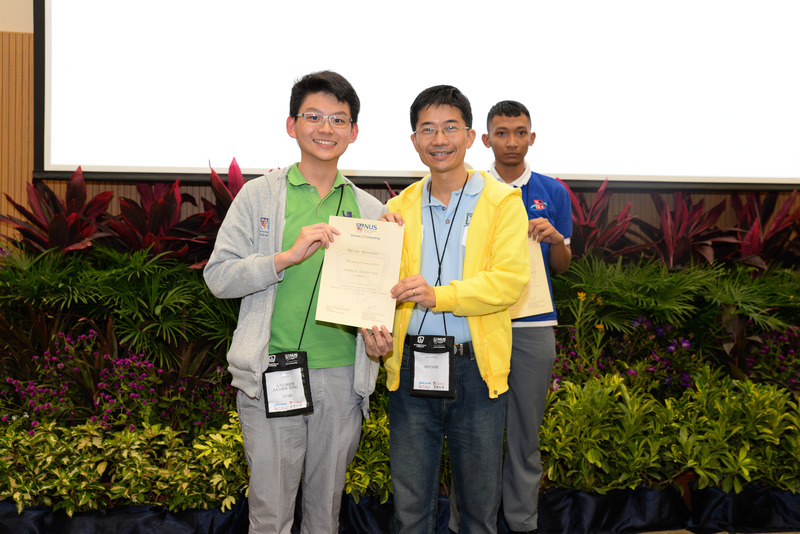 Andrew Ting (Xavier School), clutched a SILVER, together with Farrell Eldrian Wu (MGC New Life Christian Academy). 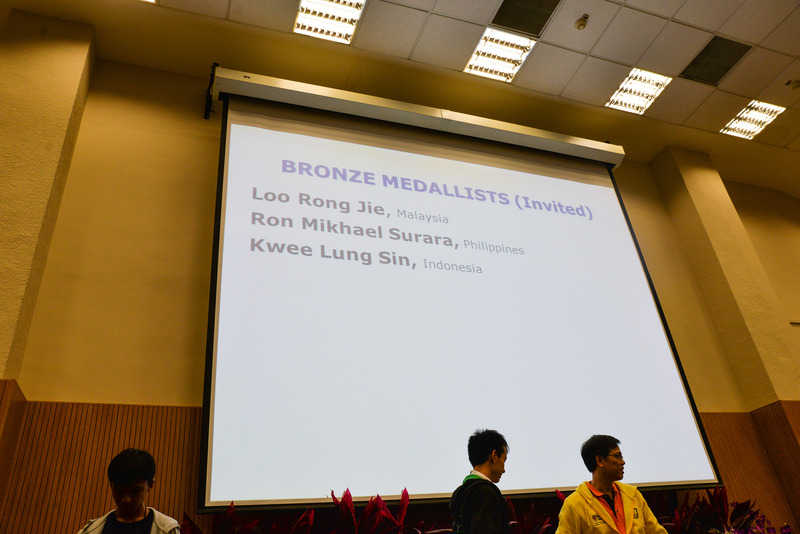 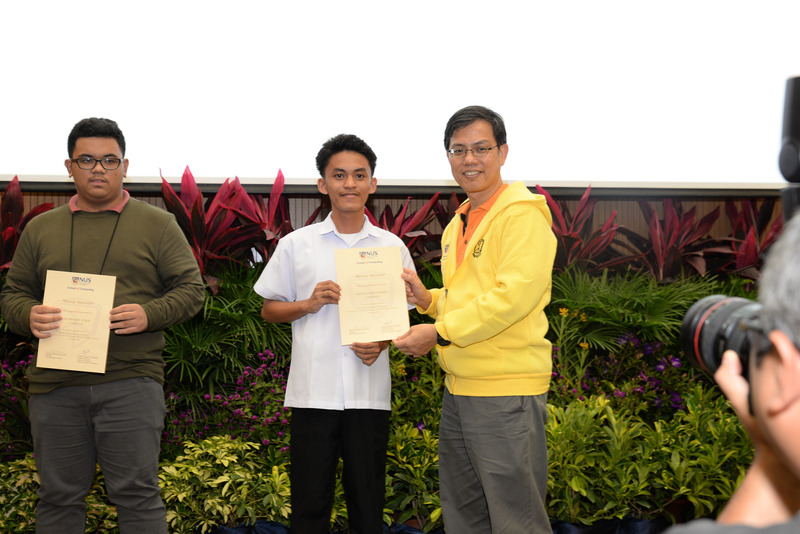 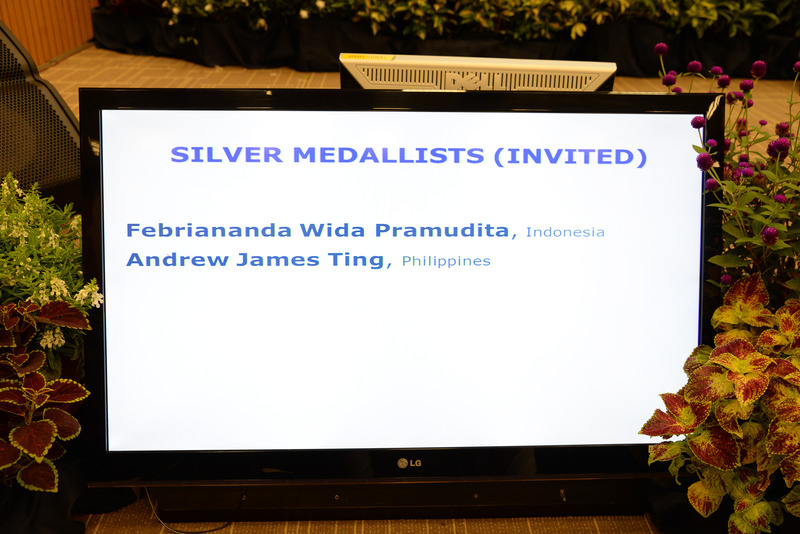 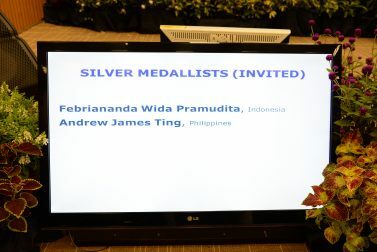 Franz Louis Cesista (Philippine Science High School – Eastern Visayas Campus), Ron Mikhael Surara (Philippine Science High School – Bicol Region Campus), and Kim Bryann Tuico (Manila Science High School), were all awarded BRONZE medals. 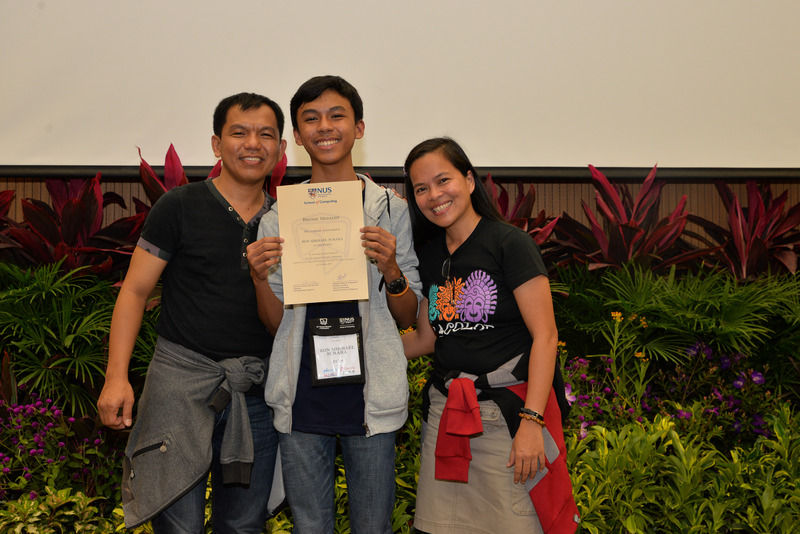 Sven Sorupia (Philippine Science High School Main Campus) joined the team as an unofficial competitor. 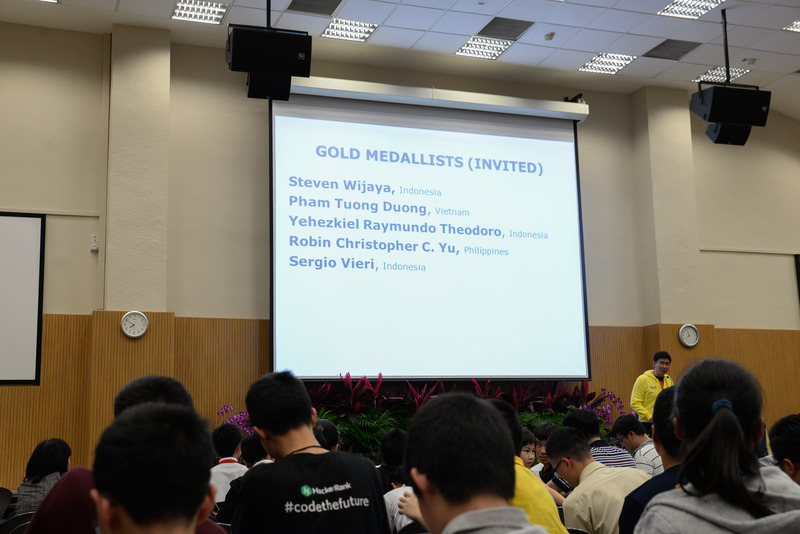 Kicked-off with a briefing at the COM 1 Auditorium that was filled to the brim with hundreds of competitors, these students representing the Philippines spent the day battling wits against their peers from Singapore, Malaysia, Indonesia, and Vietnam. 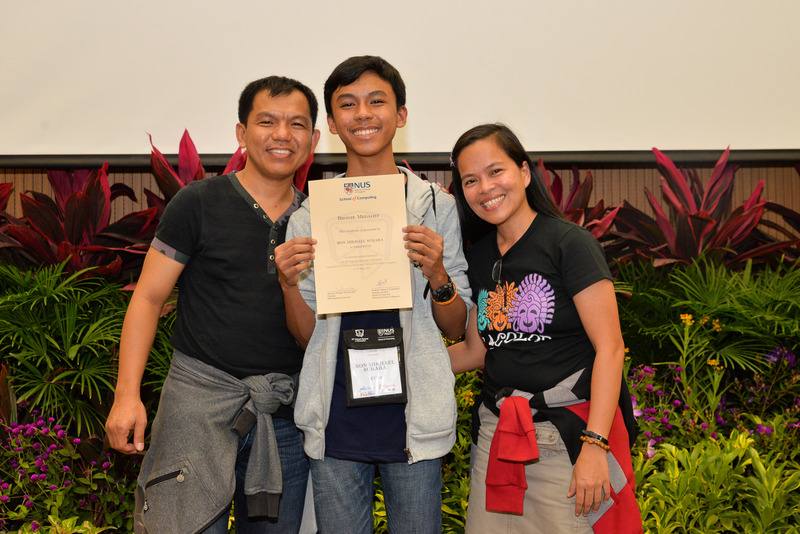 Gold and silver medalists at the Singapore NOI are given Special Consideration in Admissions into NUS. 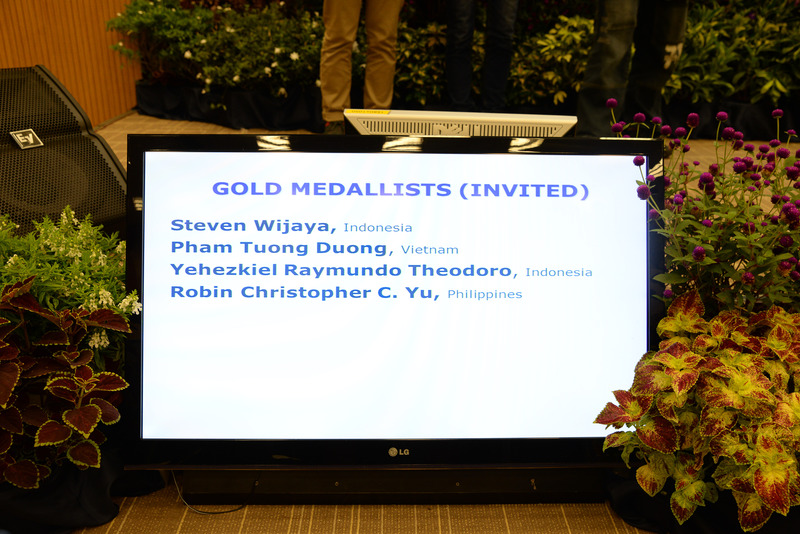 We congratulate everyone who were part of this event, especially those who won medals and honorable mentions. 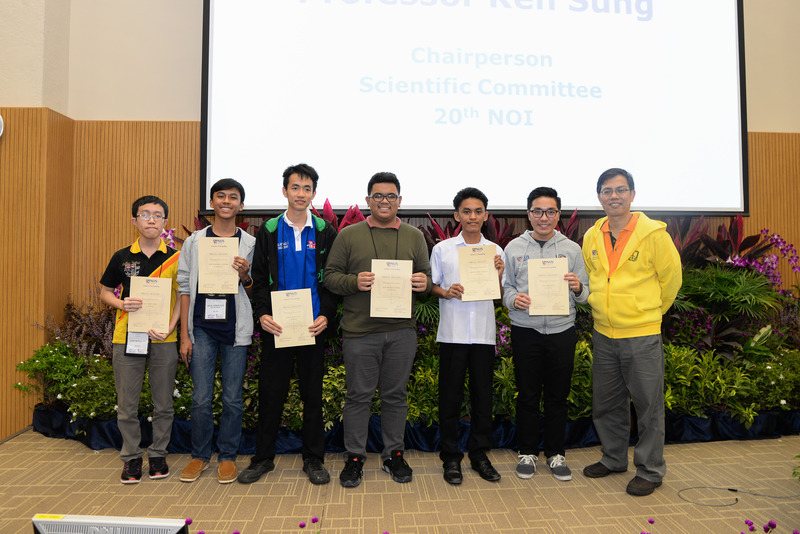 We profusely thank our hosts led by its Chair, Prof Dr Sun Teck Tan, and Vice Chair Dr Steven Halim, and the rest of the organizing committee, for enabling the team from the Philippines to partake in this momentous and historical event. 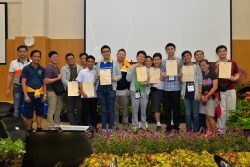 We further recognize the parents and teachers who joined the delegation including Mr Reginald Yu, Mr Alex Ting, Mrs Leonora Ting, Mr Frankie Wu, Mr Von Alano, Mr Ron Surara, Mrs Tintin Surara, Mr John Rainer Joaquin, Mr Romer Abella, and Mr Edge Angeles. We also thank Mr Payton Yao and Mr Wilson Chua for being our on-ground leads and coordinators in Singapore. 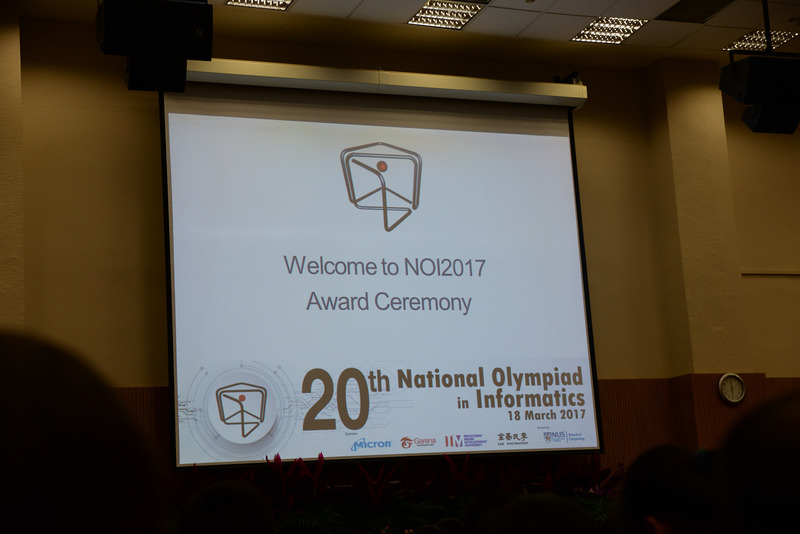 Team Philippines to the 20th Singapore National Olympiad in Informatics were carefully selected from the NOI.PH 2017 Finalists. May this inspire more Filipinos, especially the youth, to rise up to the challenge in making our country, the ASEAN region, and the world an even better place. 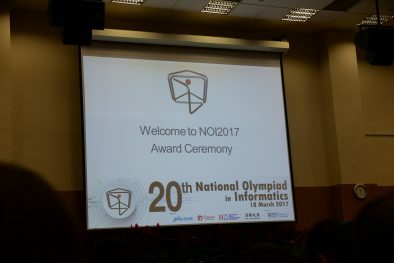 To know more about NOI.PH and be able to represent the country in various competitions, just navigate around this website. Feel free to message the Facebook page or send an email to [email protected].